Jeff Flake: We Owe Kavanaugh's Accusers An Apology - Joe.My.God. 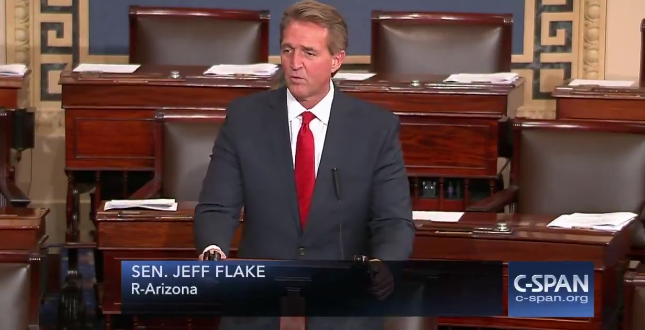 Republican Sen. Jeff Flake just gave an emotional speech on the Senate floor in which he said that Kavanuagh’s accusers deserve an apology. “These people are not props for us to make our political points,” he said. Flake also revealed that he and his family have gotten death threats because he supported a Senate hearing for accuser Christine Blasey Ford. His full speech is below.